On the surface, these results allude to a really powerful way of making these bowel tumours shrink and disappear: just switch APC back on again. Unfortunately it’s not that simple. Specifically, the study found that for Triple-WT patients, a set of enzymes known as receptor tyrosine kinases, which include KIT, PDGFRA and KDR (VEGR2), might be responsive to a combination of drugs known as RTK inhibitors as a treatment option. Sanofi and Merck are looking forward to a successor to their blockbuster Gardasil now that the European Commission has granted marketing authorisation for a new vaccine in Gardasil 9. Contrary to a common misperception in the industry, GlaxoSmithKline ($GSK) still has big plans in the burgeoning field of cancer drug R&D. And one of the pharma giant's top cancer drug R&D execs says Glaxo is ready to strike new deals to beef up the pipeline as it considers rebuilding a late-stage research effort and new commercial operations to support marketing the most successful drugs to come out of it. In oncology, OSE Pharma told Reuters it was confident a new immunotherapy treatment for advanced lung cancer, Tedopi, could reach annual global sales of around $2 billion in the medium term. Met Secondary Endpoint of Overall Survival in Wild-Type RAS Metastatic Colorectal Cancer. The late-stage study was testing the drug, Vectibix, in combination with best supportive care (BSC), compared with BSC alone. If opinion polls are reliable temperature readings, the pharmaceutical industry is running a fever. Oncology is remarkably steady at roughly 25% of the fund flows across all three markets. We believe that both NICE, and the pharmaceutical companies who market drugs, need to look at the approaches they are taking to making innovative new drugs available, if we are to widen the ‘bottleneck’ that is preventing these drugs from reaching the NHS. Developed by the ASCO Value in Cancer Care Task Force—with input from oncologists, patient advocates, representatives of the pharmaceutical and insurance industries, and others—the ASCO framework will ultimately serve as the basis for user-friendly, standardized tools that physicians can use with their patients to discuss the relative value of new cancer therapies as treatment options. 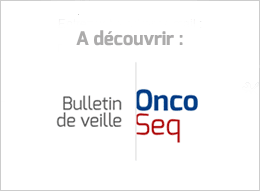 NICE has asked for further information from the company to make a final decision on the use of idelalisib in combination with the drug rituximab for adults with chronic lymphocytic leukaemia whose disease is refactory to other treatments when it is not considered appropriate to treat again with previous therapies. Patricia Danzon, a professor of health-care management at the Wharton School of the University of Pennsylvania, said assigning a monetary value to an additional year of life and discounting a drug’s toxicity should be key components of any pricing system. Bronte Doyne’s death from cancer after she was told to stop googling her symptoms raises questions about the doctor-patient relationship. I am also a collaborator. No, I won’t be presenting the results at a medical conference or writing a paper for a peer-reviewed journal, but my physical and emotional reactions to the drug are being monitored and recorded, and that data will contribute to the results and conclusions. While most editors and publishers will be primarily interested in their Journal Impact Factor, the JCR includes other citation-based metrics: an Impact Factor based on a five-year observation window, the Citing and Cited Half-Life, and two network based metrics–Eigenfactor and Article Influence Score–both of which weight citations based on the importance of journals within the citation network.